What better thing to do on a Friday the 13th than to go hike in some weird weather? Since I was in the area, I decided to hike Belknap Mountain. 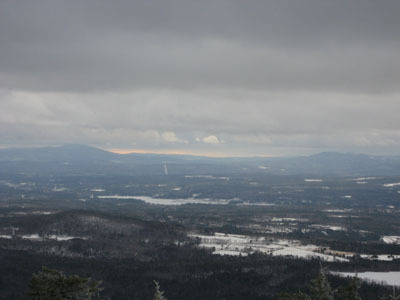 My intent for a long time was to hike this via Gunstock. 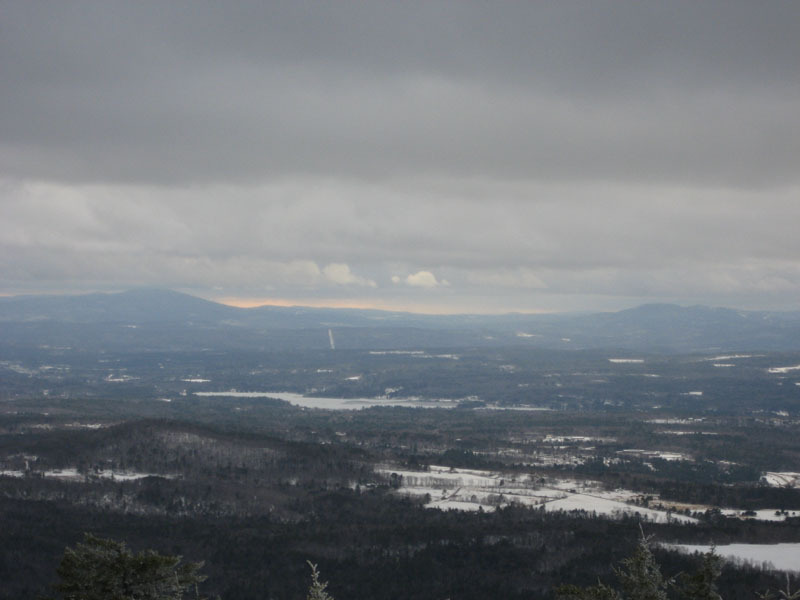 Since I didn't feel like hiking Gunstock poor weather (mostly cloudy, windy, sprinkles/flurries), I decided to ascend via the Carriage Road trailhead on my snowshoes. 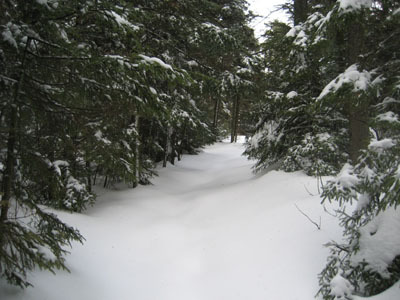 The road, closed at the first gate in the winter, was well packed by previous skiers and snowshoers. Upon reaching the Green Trail trailhead (nearly 40 minutes later), I was greeted by an unbroken trail. The Green Trail, despite its warnings, isn't overly steep. Though generally well blazed, I found one section tricky, as there was a reroute marked with a small piece of paper and some faded orange ribbon...only problem was, it was marked into the woods, but not back out. After realizing the ribbons had disappeared, I bushwacked a few feet back to the powerline cut and found the trail and continued up. Though I did most of the hike in a tee shirt, things became cold on top - the wind was so strong on the firetower that I was blown into the railing a few times. I didn't realize how cold it really was until I bit into a frozen Snickers bar. 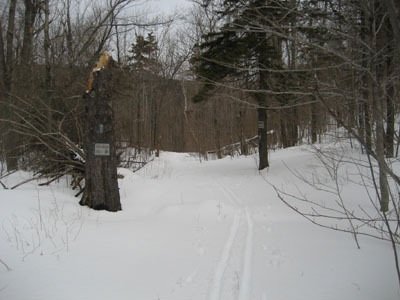 I toyed with following the cross country ski tracks back to the base, but my patience ran out after about 30 feet or so. I quickly doubled back and descended on the Green Trail.